More Kent Bazemore news! Last year, in ESPN's annual ranking of the 500 best players in the NBA, the Warriors' maestro of the bench celebration was ranked No. 499. 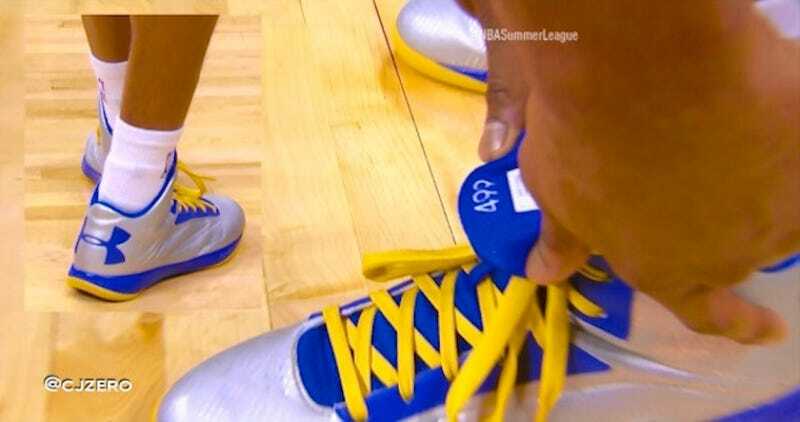 During yesterday's summer league action, the always vigilant CJ Fogler noticed that Bazemore has the number 499 stitched into the tongue of his sneakers, presumably as a source of motivation. Here's hoping you break 450 this year, Kent.